On the fourth day of the 2018 legislative session, members of the Florida's House of Representatives voted along party lines to pass a bill that would cap claimants' attorney fees at $150 an hour even though a 9.5% rate decrease went into effect 11 days earlier. The House on Friday voted 74-30 to pass House Bill 7009, with Republicans supporting the measure and Democrats opposed. Claimants' attorneys decried the fee cap as a giveaway to insurance companies and said they get paid only when a carrier wrongfully denies benefits. Business and insurance group, which are clamoring for lower claimants' attorney fees, said the fast-tracked passage of House Bill 7009 was premature and that the legislation doesn't go far enough. The bill now moves to the Senate, where Republicans hold a 23-15 majority over Democrats. The makeup of the House is 76 Republicans and 40 Democrats. Sponsoring Rep. Danny Burgess, R-Zephyrhills, who chairs the Insurance & Banking Subcommittee, said he worked two years on a compromise bill that would address the state Supreme Court's constitutional concerns over Florida's statutory fee schedule. The high court ruled 5-2 in Castellanos v. Next Door Co. that the formula was unconstitutional because it did not allow for reasonable fees in complex, labor-intensive cases. The ruling triggered a 14.5% rate hike by the National Council on Compensation Insurance in 2016 but then a recent 9.5% decrease based on favorable experience for insurers during 2014 and 2015 policy years. The statutory fee formula, which is still used along with departure fees approved by judges of compensation claims, requires claimants' attorneys to receive 20% of the first $5,000 in benefits secured, 15% of the next $5,000, 10% of the remaining amount of benefits secured during the first 10 years after a claim is filed, and 5% of the benefits secured after 10 years. HB 7009 would allow hourly or so-called "departure" fees, up to $150, outside of the statutory fee schedule if the total payment would amount to less than 40%, or greater than 125% of the customary amount a defense attorney would have earned in the same locality. 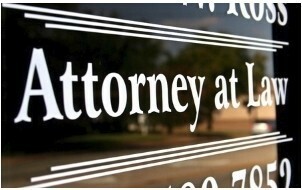 • Requiring a good-faith effort by claimants and their attorneys to resolve disputes before filing a petition for benefits; eliminating carrier-paid attorney fees for services occurring before the filing of a petition; and attaching attorney fees 45 days, rather than 30 days, following the filing of a petition. • Requiring the judge of compensation claims to dismiss a petition for lack of specificity, without prejudice, within 10 days or 20 days, depending upon whether a hearing is required. • Eliminating the charge-based reimbursement of health care facility outpatient medical care, and setting reimbursement at 200% of Medicare for unscheduled care and 160% for scheduled surgeries. If no Medicare fee exists, current reimbursement standards would apply. A House staff analysis is HB 7009 is here. It will be another one to two years before regulators and NCCI can determine the full effect of the April 2016 Castellanos ruling. But early data from the Office of Judges of Compensation Claims show that claimants' attorney fees increased 36% in fiscal 2017. Defense bills still accounted for nearly 58% of the $439,609,031 in total legal fees paid during the period ending June 30. 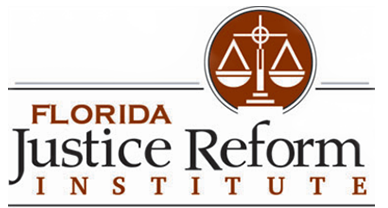 "There is no need to implement a massive workers' compensation rewrite in the absence of real post-Castellanos data," said William W. Large, president of the Florida Justice Reform Institute, a tort reform advocacy group. "Right now, we don't have a clear picture of what the post-Castellanos data means, and until such time, the Legislature should not do anything," Large said in a telephone interview. Seventeen business and employer organizations on Wednesdat wrote House members that HB 7009 did not go far enough to address what they called the major cost driver of claimants' attorney fees. The organizations ranged from home builders to local government associations, retailers, food processors and local insurers. Miami claimants’ attorney Mark Touby, who represented Marvin Castellanos in the groundbreaking court case, issued a statement on behalf of Florida Workers’ Advocates, a group that advocates for injured and disabled workers. “The Florida House has once again struck out on an important opportunity to bring meaningful rate reform and transparency to the many businesses required to pay workers’compensation insurance in Florida,” Touby said. “After hearing doom-and-gloom warnings from the insurance industry that the sky was falling and rates needed a double-digit increase, those misleading claims have now been proven to be false and we are whiplashed by a nearly double-digit decrease in rates." “This rollercoaster ride of rates is indisputably bad for Florida's businesses, and the legislation approved by the Florida House today turns the workers’ compensation grand bargain into a grand illusion,” he said. Maitland claimants’ attorney Geoff Bichler called the legislation “foolish” and said it imperils workers’ compensation as a viable exclusive remedy. “My firm will not accept contingent fee cases with $150 an hour caps, and we will continue to fight for reasonable fees as a penalty against employers and carriers found to have wrongfully denied benefits,” Bichler said. “My guess is that it would be attacked as arbitrary and unreasonable, among other things,” Turner said. $150 hourly cap likely would be struck down by the high court and that the rate is so low that injured workers would be unable to find representation. Rep. Rob Rommel, R-Naples, said the 14.5% rate hike effective last year cost his small business more than $4,000 in higher premiums and that he is “terrified” about what’s going to happen to claimants’ attorney fees in the next five years. HB 7009 sponsor Burgess said the rate increase spiked premiums by more than a half-billion dollars and that the Castellanos decision was singularly responsible for more than $360 million of that. "You’ve seen the lightning. You see the lightning before you hear the thunder. You see the flash, the 14.5% increase. The thunder is going to be heard in 2018 and 2019 and any year afterward if we don’t do anything,” said Burgess, a business and contracts lawyer. HB 7009 now moves to the Senate. Senate President Joe Negron, R-Stuart, said at a press conference Thursday that several senators had expressed interest in reforming attorney fees. But he said those reforms also should include defense fees. “I think we should consider a workers’ compensation proposal that’s fair to injured workers and that also provides predictability to employers, and makes sure that legal costs on both sides — claimant’s side and defense side — are reasonable,” Negron said. “Employers only want to pay attorney fees that are necessary ... and want them to be as low as possible,” he said.